Previous decades saw names like Jason Voorhees and Freddy Krueger dominate the genre world, with horror fans regularly heading to the theater to check out films merely referred to as "the latest Halloween" as shorthand for the event. Various horror franchises still exist, with many of them thriving as some audiences have turned their backs on icons of yesterday. One name that has gained prominence in the past decade is "Blumhouse," a studio that has delivered some of the biggest hits in the genre in recent years. Despite its many successes, the studio has also had its fair share of disappointments, but the development of a Blumhouse Cinematic Universe potentially being the best way to cement itself in the annals of horror history. The concept of a shared horror movie universe is far from fresh. Frankenstein's Monster met the Wolf Man in 1947 on the big screen before Abbott and Costello met the Invisible Man, the Mummy, and Dr. Jekyll and Mr. Hyde throughout the '50s. The diversity of horror stories in the following decades allowed villains to dominate an entire film, but a tease in 1993's Jason Goes to Hell: The Final Friday blew audiences' minds as Freddy Krueger's gloved hand emerged from Hell to grasp Voorhees' iconic hockey mask, confirming the characters lived in the same universe. The two would collide for a no-holds-barred bout in 2003's Freddy vs. Jason. 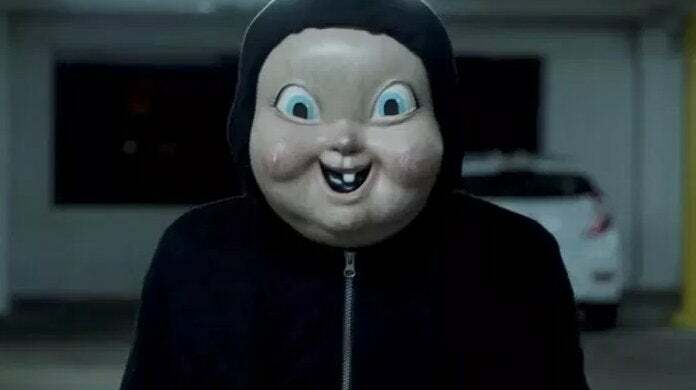 Some of Blumhouse's biggest hits, both critically and financially, include Truth or Dare, Happy Death Day, and The Visit. What all of these films have in common is that they are all original properties which cost less than $5 million and earned nearly $100 million worldwide, making them all sound investments. While all of these films are undeniably horror films, they range from supernatural curses to repeatedly dying for days on end to relatives with sinister agendas. Audiences checking out a Blumhouse movie can often expect to see a unique and self-contained story from burgeoning storytellers. Despite the studio's many accomplishments, it has also delivered some full-blown flops. In 2015, Sinister 2 and Paranormal Activity: The Ghost Dimension earned such negative reviews that they seemingly destroyed any hopes of continuing their franchises, while even a film like Happy Death Day 2U, which earned relatively positive reviews, fell so far short of expectations that studio founder Jason Blum admitted we would like never get a third film. With shared universes dominating the filmmaking field, Blumhouse might be able to salvage its lackluster outings or stagnated series by connecting the dots to create a shared universe. This isn't to say that all of their films need to exist in the same world, as we wouldn't want to see the events of Halloween or The Purge collide with one another, but with the studio having so many C-list villains, the most effective move might be to tie them all together, similar to the Freddy Krueger reference in Jason Goes to Hell. Blumhouse has acquired enough worlds with such nebulous realities that finding ways to connect the Ouija franchise to the Paranormal Activity or Unfriended franchises could be the perfect way to revive all of those respective series while potentially retroactively making the mythology much richer. What puts Blumhouse in the unique position ahead of other studios is that it has dozens of titles to its name that, with a little creative thinking, could establish this shared universe. In 2017, The Mummy was meant to kick off the Dark Universe of Universal Monster movies, yet that film was such a disappointment that it killed any momentum and potential excitement about the shared universe that it essentially died after one installment. In fact, Blumhouse is currently developing a reboot of Invisible Man, which was announced as part of the Dark Universe with Johnny Depp starring, though this new endeavor will be a standalone story. Similarly, fans still get excited when a movie like The Predator has references to the Alien franchise, reminding us of that shared universe without using those connections as a crutch to sell tickets. By simply claiming that Blumhouse has a cinematic universe, it won't inherently make any movie better. However, once these seeds are planted, audiences might be more likely to check out any Blumhouse film in hopes of getting information about another entry in the shared universe they are more invested in. 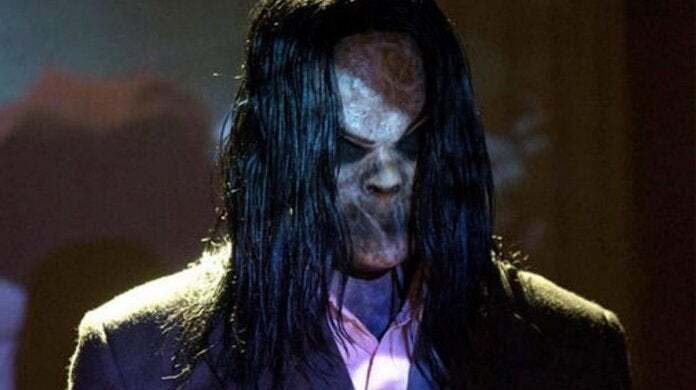 A fan who would be only slightly interested in something like Sinister 3 might be more excited to check it out if there could be an Easter egg that connects it to the Paranormal Activity franchise. These connections could also result in a more collaborative process between franchises and their filmmakers to find unique ways to build a more expansive mythology. Luckily, Blum is already on board with the theoretical idea of a shared universe. Audiences have grown accustomed to sticking around through the credits of a franchise film to see post-credits scenes that hint at the franchise's futures, so were a film like Cam, about a woman whose identity is stolen and replicated for profit, to have a post-credits sequence that revealed a connection to the Unfriended series, about users on webcams being terrorized by threats both real and supernatural, it could potentially enrich both series. Blumhouse even experimented with this for 2017's Split, which was marketed as a standalone thriller, only for the final scene to confirm it was secretly a sequel to 2000's Unbreakable, paving the way for this year's Glass. Blumhouse Productions has enough original ideas being brought to life with minimal production budgets that they don't need to rely on a shared universe, but adding some connective tissue between some of their more moderately received films could be beneficial for all parties involved. Do you think Blumhouse should establish a shared universe? Let us know in the comments below or hit up @TheWolfman on Twitter to talk all things horror and Star Wars!